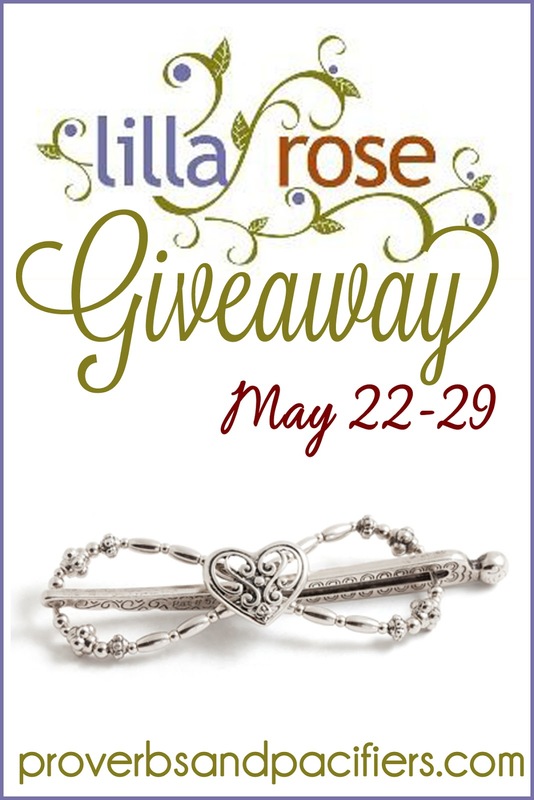 Proverbs and Pacifiers: Lilla Rose Review and GIVEAWAY! A few months ago I was contacted by Melody Detwiler and asked if I wanted to post a product review (and giveaway!!!) for Lilla Rose hair clips, often called "hair jewelry". She would send me a free flexi clip, and I would tell YOU all about it. Obviously, I said yes! I've actually been wearing Lilla Rose hair clips for over a year now, and I love them. I started seeing advertisements for them on other blogs, but I put off ordering one. I kind of have a habit of impulse buying things I don't need and will never use, so I was hesitant to spend money on a hair clip of all things! But then one month I noticed the special was this owl clip and I LOVED it! So I decided to give it a try. A month later I ordered two more clips. I was hooked. So what's so great about Lilla Rose? 1. They make "mom hair" look dressy. In fact they are my go to hair style for Sunday mornings. My hair seems to be the last thing I have time for when getting ready which means I often end up wearing a ponytail, which seems kind of sloppy for church. These hair clips are a great way to dress up a ponytail without any extra work. 2. They are simple to use. Now, there is definitely a learning curve for the fancier hairstyles like the two shown below (obviously not my hair! ), but overall the clip itself is very easy to use. My #1 tip for easier styling is to work with semi-damp hair. I find that it's much easier to put my hair up in the clips if it's still a little damp. Plus, I save time by not drying it all the way! Win-win! 3. They offer tons of variety. There is literally a hair clip or bobby pin for every type of person and every type of hair. Cat lover? Try this one. Like bold colors? Try this one. Prefer low-key and goes with everything? Try this one. Something for everyone! The hair clips actually come in different sizes as well depending on how long or how thick your hair is. Check out this great section on the Lilla Rose website explaining the different sizes and hair styles! You can check out Melody's Lilla Rose store and make sure to follow her on Facebook for updates on great sales, monthly specials, and hair style inspiration! Now for the fun part! Melody has graciously offered to give one of my readers a Lila Rose Flexi Clip of their choice! To enter just leave a comment on this post! For a bonus entry share this giveaway on Pinterest, Facebook, or Twitter and leave me a link in the comments section! Winner will be chosen May 30. Winner must be 18 years old or older. Giveaway open to US residents only. Please make sure you have and email address attached to your profile or leave one in the comments section so I can contact you if you win! What's your favorite way to wear your hair? If you win, which Lilla Rose flexi clip would you choose? I usually wear my hair down, because hair ties always become loose and I'm a busy homeschooling mum. However, I would definitely start wearing my hair up with one of these clips! The one I have fits my daughter's hair much better, because it is one of the smaller sizes and my hair is just too thick for it. I would definitely choose the Dreamcatcher flexi clip because it is my favourite design! The one we have is a small tiara, which is my second favourite design and my daughter adores it! I shared on my Pinterest Giveaway board: http://www.pinterest.com/pin/290341507200306194/. 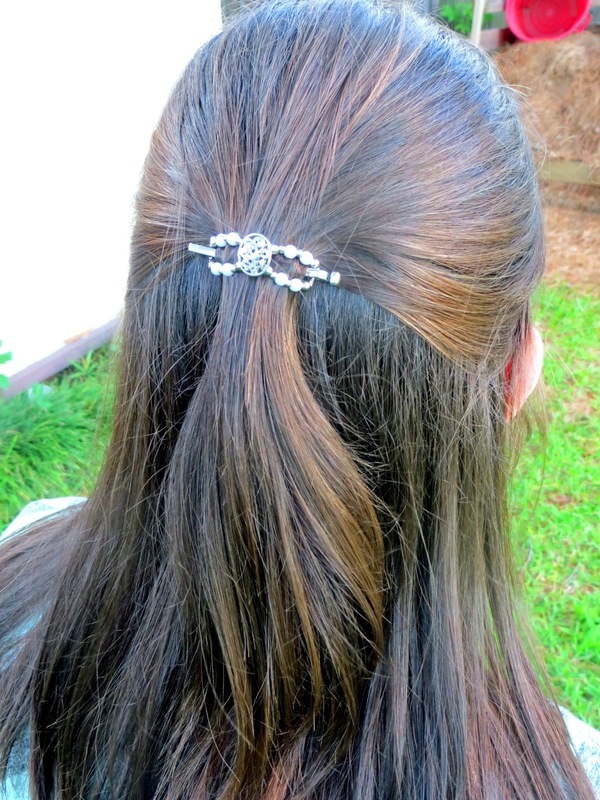 I always wear a plain ponytail, but I love the look and ease of the Lilla Rose products. I would love to try one! I like to wear my hair half up and out of my face. I would pick the Victorian Inspiration in size small. 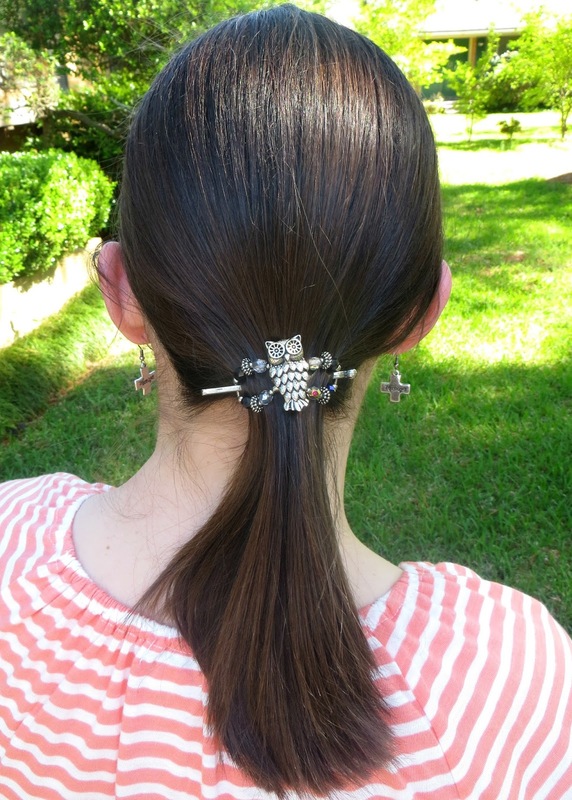 Who wouldn't enjoy a tail up after a long work day with a super cute Lilla Rose clip?! Plain 'ole pony tail. I like the new Faith, Hope, Love one. Melody is great! I got my first flexi clip the beginning of January and I don't think I've taken them out since. My hair is usually all pulled back into a flexi clip pony tail. They are awesome and have so many great designs I want. 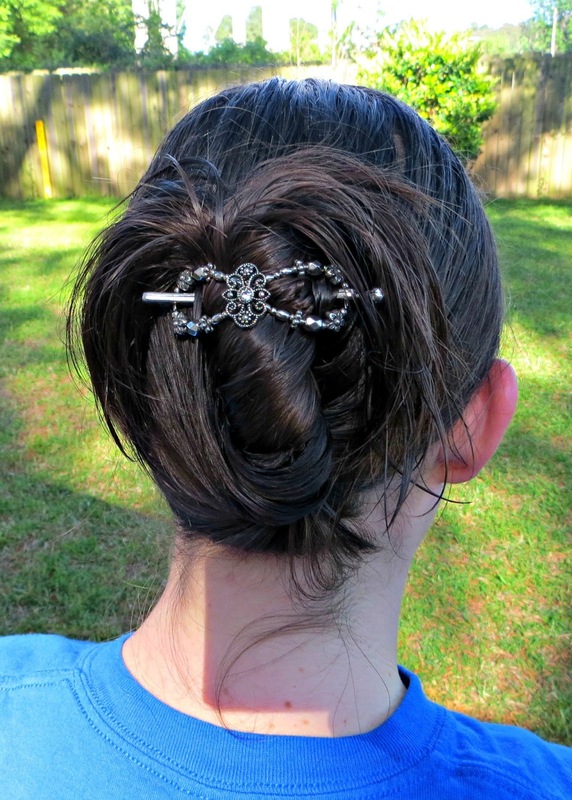 I usually wear my hair straight down but I'd love to have another Lilla Rose clip to add to my collection! I need a colorful one this time! These clips are so beautiful! I think as a mom its really wonderful to have something quick and easy to do with your hair. I can't believe how many times I have used a ponytail in the last seven years! This would be the perfect way to add a little glitz to the average pony! Its very useful tips for how to get more hair colors.. thank u to share this post.. Click here now see more details about hair colors..